If you are working for analytics project, you need a rich chart system to display big data results. Google is providing us a powerful chart tools that you can implement charts very simple, this tutorial will explain you how to implement Google charts with Jquery ajax JSON data. Try out there are many free interactive charts and data tools, take a quick look at this live demo. Here you can replace API url, this demo is working with sample world population density. Here data object is referees to ajax JSON result. Charts will display based on DIV id. World population density sample JSON data. There any my options for charts, you can customize the chart colors, titles and 3D view etc..
Jquery ajax method for common use. Nice tutorial, but you have some limited examples. One more request can you provide beginner tutorial of d3js. 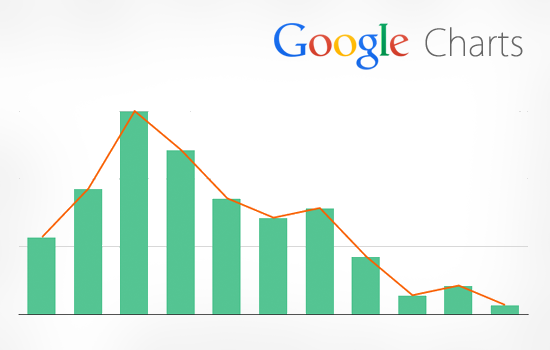 data visualization is a very important part in modern web, where we need custom charts or map etc. i given suggetion to you ,please post articles step by step how to do? This is a nice tutorial. I want to the google analytic results in this world map. Means the visitors location according to there visits just like in google analytics. Is there any way to show such type of chart and world map? Why Kashmir & Arunachal pradesh is marked with lines? They are disputed boundaries as result of 1969, 1971, 1972 war between Indo-Pak & Indo-China. Another fruitful post from you :) I think it's very helpful for the developers. Informative! Helped me a lot since google developers site has not. I modified the script a little bit, loading the data from a mysql database. In my case not for Geo Charts though. Thank you. Animation works very nicely. Nice post. worth of every single sec it consume. you are awesome work regarding jquery. i have used this code and it works good. Thanks for sharing Valuable Information with us. I have applied it works good. Thanks for sharing Valuable Information.It helps a lot.